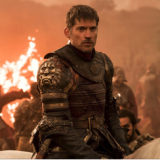 Living as a hero in the global imagination, having built up a reputation through his best recognised role as Jamie Lannister in Game of Thrones, Nikolaj Coster-Waldau truly is an everyman hero. Devoting his time and level of fame to advocate action supporting causes beyond the acting world (despite the impressive 40+ films to his name!) he is now turning his attention to driving awareness of men’s grooming. Read on to gain a deeper insight into the new L’Oréal Men Expert’s spokesperson and his views on heroes, philanthropy, family and grooming. 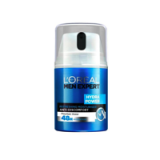 So what does it mean to you to be a L’Oréal Men Expert Spokesperson? I definitely feel proud. 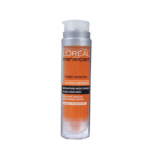 L’Oréal Men Expert is known for its efficient products tailor-made for us, men. It is also important to me that L’Oréal engages with The Movember Foundation, committed to make things change and as a spokesperson, I can take part in it and have an impact. According to you, who is the Men Expert man? If he is anything like myself then he wants great easy-to-use products that deliver what it says on the wrapping. Shower, shave, or not – I had epic facial hair on Shot Caller – then slay on a day’s worth of moisturiser. And, when my eyes are crying out for it, eye gel is a real revelation. That is one heroic product. 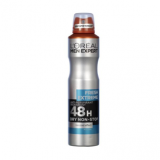 What are your top L’Oréal Men Expert Products? 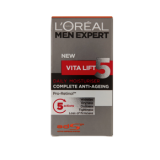 I’m absolutely on board with Vita Lift: ageing better. It’s satisfying to use one product [the cream] knowing it’s going to do five different things to your skin – that level of expertise is mind blowing. I love that the raw ingredient, don’t ask me to pronounce it, is sourced from a vineyard, truly French savoir-faire. What is self-empowerment to you? Self-empowerment is self-confidence – one of the most attractive things about a person. Men Expert is the grooming equivalent of self-empowerment. 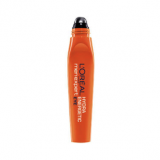 An outer layer of absolute confidence in your skin. I like that it’s a value that drives the brand. What do you think makes an on-screen Hero? Depends on the movie. But if we are talking big time blockbusters, then I guess staying alive for the sequel is a good start! Who’s your greatest movie hero? One of my all-time favourite films is Once Upon a Time in America. The main character, Noodles is neither hero nor anti-hero, he made a big impression on me. So take every DeNiro, Pacino, Duvall and Gene Hackman movie from the 70’s mix them up and you have the perfect filmactor. Tell us what projects do you have in the pipeline for 2018? I’ll be on the promotion circuit for my new film, Domino, which was directed by Brian de Palma, which is coming out next year. It was a privilege to work with him, he has such vision. I play a Copenhagen police officer on the revenge trail for his partner’s murder. And there are a few projects I can’t yet talk about. I’ll be carrying on work too for the UN. And then we are shooting the final season of Game of Thrones. Why is it important for you to be engaged in charity work? Thanks to the level of celebrity I now have, I have the position to raise awareness and get people’s attention on causes that are dear to my heart. As a UNDP ambassador since 2016, I support the UN’s Global Goals by 2030, and I’m actively campaigning for climate change and gender equality. We have the power together to make things change, inaction is not an option. What goal do you have yet to achieve? To see my football team, Leeds United, win the premiership in May 2018. It’s going to happen, trust me. Oh, and Denmark in the World Cup final. You travel lots with your multiple roles, what do you never leave home without? After a flight, I am usually expected at a meeting or on a film set. I can look tired after a 10-hour travel and be stressed. I then have 2 life savers: the anti-wrinkle turbo gel with which my skin instantly looks brighter and fresher. The other life booster is my spray anti-perspirant that makes me relax and stay fresh. What hobbies to you enjoy in your downtime? Mountainbiking, I love getting out on the bike in the forest. 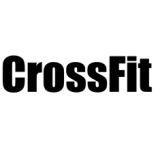 Working out at my nearest Crossfit gym with a friend. Catching football when it’s on. And right now, in this season, skiing with the family. Greenland, where my wife’s from, is one of the most magical places on earth. It’s been eye-opening seeing the impact climate change is having there. How do you feel heroic in your day to day life? What makes me personally feel heroic is not missing out. I’m away a lot so being at home to be able to suitably embarrass my daughters, is any dad’s duty. Not slipping up to reveal any Game of Thrones spoilers, thankfully most people have stopped asking, they’d rather wait and watch.